After the great success of Lenovo K3 Note Company recently launched Lenovo Vibe K4 Note, Phone is under the budget segment offering lots of premium features. Key specs of mobile are MediaTek Octa-core processor, 5.5 inches Full HD display, 13 and 5 MP camera, 16 GB ROM with 128 GB external SD card support, 3 GB RAM and 3300 mAh battery. 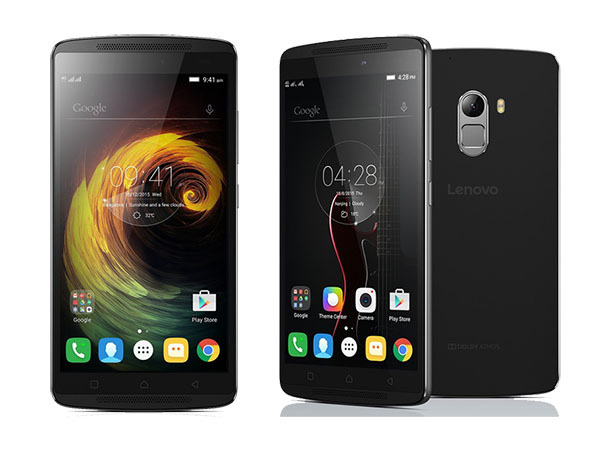 Here we will have Short review, Pros and Cons of Lenovo K4 Note. Phone design is completely different from the its predecessor Lenovo K3 Note that was block quadrilateral shaped while K4 Note is slightly curved from top and bottom end, company added fingerprint sensor, +1 GB RAM and Corning Gorilla Glass 3 Screen Protection, more battery capacity but they have downgraded its CPU. Hardware is covered with quality plastic and metal frames on the sides. Right panel has buttons for volume rocker and power and fingerprint scanner is placed just below the rear camera. The 5.5 inches IPS LCD capacitive display is quite vibrant and sharp, which can manage good visibility in sunlight also facilitates wide viewing angles. The video experience is nice as it has 1080 HD resolutions with 401 ppi display density the dual front firing Dolby Atmos speakers adds more amazing experience make it icing on the cake. Personally I am disappointed with the companies decision of downgrading its CPU from previous K3 Note, Mediatek 1.7 GHz processor to MediaTek 1.3 GHz processor, although it doesn’t show any kind of lag even in multitasking but phone lingers in heavy gaming. Phone has 3 GB RAM helps in remain smooth in most of the tasks. Phone is packed with 13 MP primary and 5 MP front camera that reproduce balanced colour in sufficient lightening although camera sensor struggling to take clear and natural photos in low light. K4 Note is spec packed budget Smartphone as according to that phone has above average camera. Lenovo also providing Ant VR headset TheaterMax technology built-in on the new Vibe K4 Note. Check More About Ant VR headset. Lenovo added +400 mAh capacities in new phone as it has 3300 mAh battery, while previous K3 has 2900 mAh battery, even after increasing its capacity phone practically doesn’t show any improving it heats on heavy tasks and resulting into quick draining of battery. Finger print sensor is quick responsive. Superb dual front firing Dolby Atmos speakers for amazing audio experience. Providing Ant VR headset TheaterMax to sense virtual reality. Yellowish flash – photos become yellowing when flash is used to capture images. Camera quality is not up to standard quality. The battery heats and drains faster in some situation. Heating and quick battery draining problem. Vibe K4 Note as according to the specs and price providing great value for money, but if you searching for a best camera Smartphone with prolonged battery life the phone can’t satisfy you completely.